Cool Videos, Tech FAQ, more! 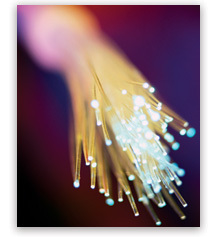 Check out 3rivers.net for information on 3 Rivers' Fiber Optics projects. Just click on " Fiber-to-the-Premises " in the left-side navigation bar for more info, a Frequently Asked Questions page, and a link to our printable Fiber Optics brochure. Be sure to check out the "Fiber Corner" section in our Currents bi-monthly newsletter for updates to ongoing fiber projects—a printed version comes in your bill every other month or if you are a paperless customer you can find it online under the " Coop Mailings ". You haven't started pinning on Pinterest yet and you want to get started? If so, click here . This Month's FAQ – How Can I Turn Off Facebook's Notification Sounds? Click the upside-down triangle in the upper-right corner of the blue bar, then click the "Settings" link. In the left column, select "Notifications." Where it says "On Facebook," click the "View" link and uncheck "Play a sound." usfa.fema.gov – With temperatures dropping, you may be in the mood to start a fire in your fireplace or woodstove. Before you do, take a quick look at this site. It offers reminders on the importance of inspections and cleaning, using the proper wood, and more. cookinglight.com – September is Better Breakfast Month and a great time to try some quick and healthy breakfast recipes. Take a look at delicious options including Blueberry Power Muffins, Greek Yogurt Parfaits, and Mini Frittatas with Ham and Cheese. cdc.gov – The recent West African outbreak of Ebola has captured headlines and understandably raised concerns. This site from the Centers for Disease Control and Prevention is a great resource for learning about transmission, signs and symptoms, risk of exposure, prevention, diagnosis, and treatment. bhg.com – Those gorgeous fall leaves in your yard can be showcased in your home, thanks to this collection of simple craft projects. Use leaves as ornaments. Frame them like artwork. Or turn them into a wreath. The options are "tree-mendous." The Pin It button makes it easy to Pin things to Pinterest that you find on the web — like a recipe from your favorite food blog or a photo from a travel site. You can get this button from the Pinterest Goodies page at http://about.pinterest.com/en/goodies#browser . Go to http://about.pinterest.com/en/goodies#browser from Chrome (or get the Pin It button at the Chrome web store at https://chrome.google.com/webstore/category/apps). After installing, you'll see a Pin It button any time you mouse over an image. Or, click the red P at the top of your browser whenever you find something on the web you want to Pin. After installing, click the red P at the top of your browser whenever you find something on the web you want to Pin. Drag the button to Internet Explorer's bookmark bar. After installing, just click Pin It from your bookmarks whenever you find something on the web you want to Pin. Go to http://about.pinterest.com/en/goodies#browser from Safari. After installing, you'll see a Pin It button any time you mouse over an image. Or, click the P at the top of your browser whenever you find something on the web you want to Pin.